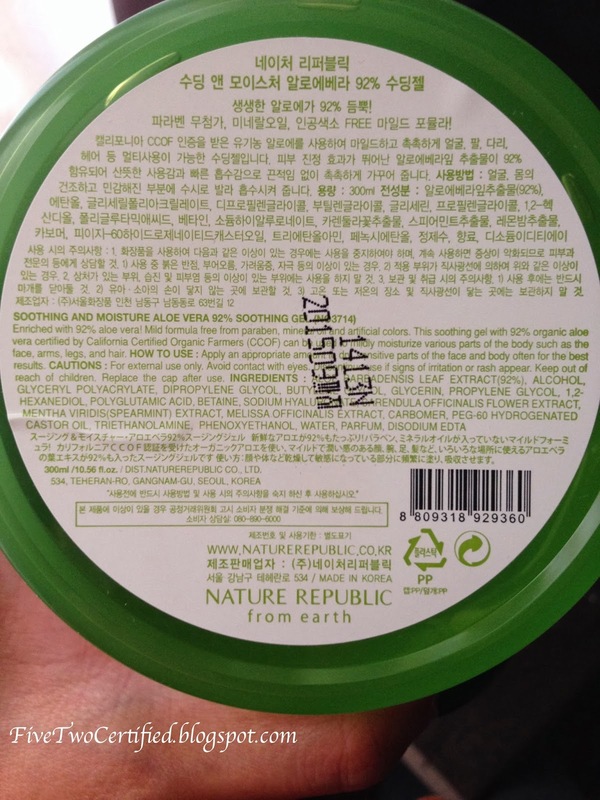 This product I bought from a shop in Flushing, Queens NY called Nature Republic (here's their YELP site) . It is another Korean brand store, like The Face Shop, that only sells their brand products from makeup, nails to skin care to makeup tools to bath & body products. The store was by my Sis and whenever I go to her place, we definitely go to Main St and check out the Korean bakeshops, bubble teas and boutiques! She lives right in the Korean neighborhood and I just love how it feels like I am in Korea when we walk around her 'hood. My hubby gets sunburnt every Summer since he wants to get dark, not just tanned but dark! Like darker than me dark; like Latte dark (maybe darker!). He just wants to be darker than me but we both know I will always be the darker one in the relationship hehehe. *Hubby is Chinese and I'm Filipino. He hates putting sunscreen on unless I do it since he hates the texture of lotion. If I don't catch him before he goes outside to detail/ wash the car, he'll come back upstairs with burnt shoulders, feet and head (he shaves his hair)! So we always have an aloe lotion from the drugstore in our medicine box. 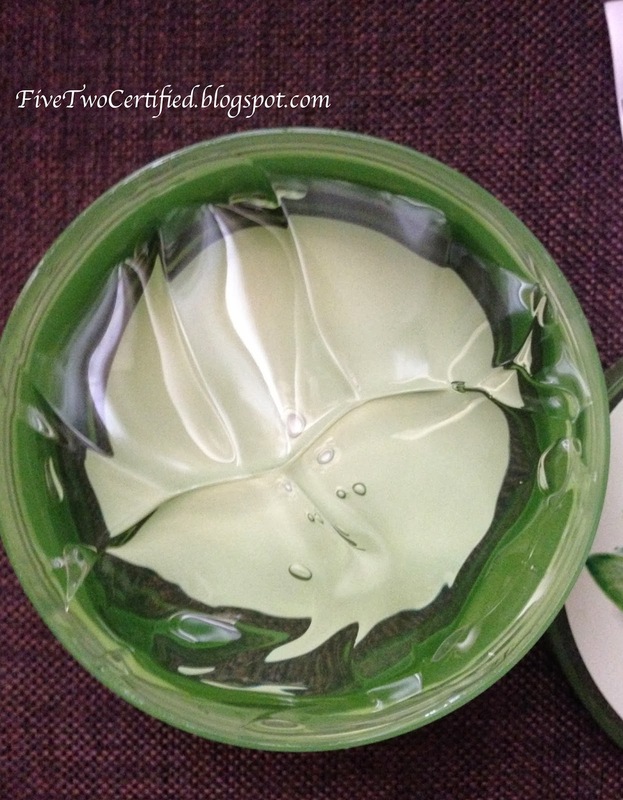 Back in the Philippines, I do remember using Aloe Vera on our hair to keep it shiny and healthy. And since I was dealing with dry scalp (again!) 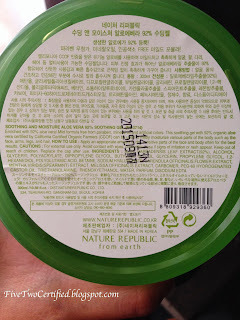 and dry skin from the weather, I grabbed this instead of buying the real Aloe leaf at the Asian Supermarket. 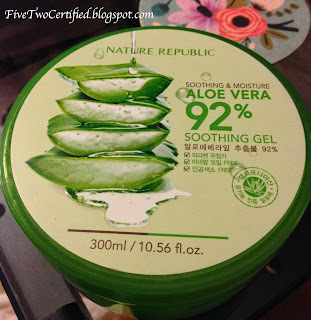 My mother-in-law also uses aloe on...everything skin-problem related so I wanted to see how this works without all the mess of scraping the gel off the leaf. Packaging: There's a lot of product in the jar but I hate double dipping so I wish it came in a squeeze or in a pump bottle. Overall product is great for those of us who are lazy to scrape our own Aloe leaf hehehe! It's right here when I need some to put on my hair or dry hands! I usually use this to remove my makeup (with a cotton pad) since I was going through dry patches on my skin, and this actually helped with my dry skin! I have been using this on my scalp as well, rubbing all over my scalp a few minutes before I go take a shower. I haven's seen any improvements on the ends of my hair, so I'll just use this on my scalp for now. I burnt my fingers one day I was cooking and I just slabbed this all over it and I only had a tiny blister that actually just went away "magically" the next day! I haven't found any other use for it for now, but I am very satisfied of this product and wished I stocked up on it as the store is a two hour commute from me. I would ask Sis to buy more but I don't want to ask when she has a lot of stuff to deal with right now. I'll survive! The price on Amazon's site is twice what I paid for so if you can find an Aloe leaf around you, I suggest buy that first as it only costs less than a dollar (over here it is). Or if you can find a different site that sells aloe gel products then I would go ahead and try it for yourself! I grew up using aloe vera and I can just see my "Lola" (grandma) smiling at me as she swears by this! Just like that Grandpa on "My Big Fat Greek Wedding" movie, where his answer to everything is windex?! Lola was all about the Aloe Vera or White Flower (mentholated oil)!!! Have you guys tried any skin care aloe products? I think I am seeing this trending on some products but I don't know which brands. I do hope the beauty companies do lean towards this ingredient as it is really helping with my skin!